You are currently browsing the tag archive for the ‘offerings’ tag. Do you know the story of Elijah and the prophets of Baal? It is in the Bible in the First Book of Kings Chapter 18. Israel was then ruled by King Ahab who was unduly influenced by his fancy Phoenician wife, Jezebel, (a Baal worshiper!). Because of the royal couple’s idolatry and persecution of God’s chosen prophets, the land suffered three years of drought and was turning into a desert. The great prophet Elijah had been in hiding during this time, but, as the drought changed the political climate (in addition to the real climate), he revealed himself for a dramatic supernatural face-off with the 450 prophets of Baal atop Mount Carmel. The terms of the contest were thus: the prophets of Baal and Elijah would each sacrifice a bull and cut it to pieces and lay it on their respective altar (repairing the neglected altar of Yahweh is a big part of this story…but I will leave the altar-repair instructions out). Neither camp would light the burnt offerings themselves: instead they would pray to the respective deities for fire. The prophets of Baal went first (which sounds optimal, but think of how this always goes in the Olympics). They prayed all day–indeed Elijah mocks them at noon suggesting their god must be busy thinking or important doing divine things or just couldn’t hear them. At the end of the day, at sacrifice time, their bull was unconsumed by divine fire. So why am I telling this story? Is it a parable about wicked leaders and their foreign consorts? Is this a story about divine wrath concerning a king’s corruption and God’s complete control of the weather? Is this about how even the most revered religious traditions sometimes need to be tested by evidence-based criteria? Am I perhaps somehow suggesting that our own land has been given over metaphorically (or maybe literally) to Baal and his charlatan acolytes? No! Of course not! Our very own evangelical leaders have assured us from their private jets and mega-churches that our national leadership is exactly as it should be. This post is just an excuse to show some crazy art concerning prophetic contests! Look at these wild pictures! I particularly like the Baal worshipers–it is a shame what happened to them, but, after all, this is only a story. I, for one, certainly don’t believe in Biblical literalism. (Speaking of pictures, WordPress has made it impossible for me to properly label images without causing them to go off-center such that they are half obscured, but this last picture is by Lucas Cranach, about whom I have written much). Happy Tomb Sweeping Day! 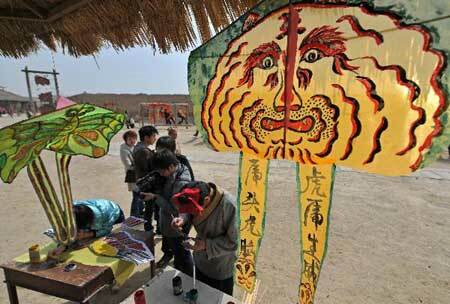 The 104th day after the winter solstice is celebrated in China as the Qingming festival. 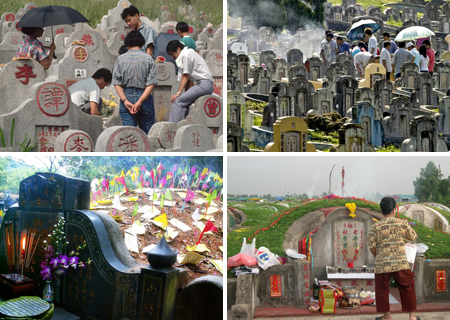 Throughout China, People go outside to tend to the graves of deceased loved ones and to enjoy the beauty of springtime. 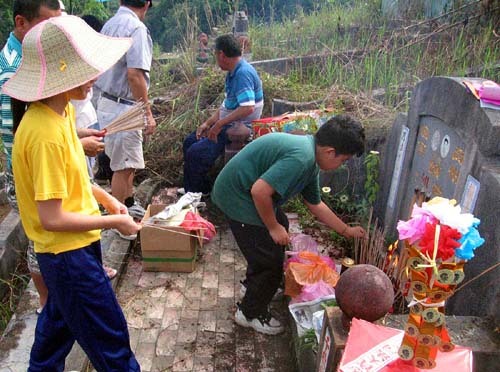 As the English name implies, the holiday is also an occasion to carefully tend and restore revered grave sites because, above all, the Qingming Festival is an occasion for ancestor worship. Celebrants visit graves and tombs with offerings for the dead. Traditional offerings include roosters, flowers, paper decorations, pastries, tea, incense, chopsticks, wine and/or liquor. In addition to being a day to show respect for the dead, Tomb Sweeping Day is a celebration of the changing seasons. People go on family outings together to enjoy blossoms or fly kites (these kites are usually shaped like animals or heroes from Chinese opera). Some people carry flowers or willow branches with them throughout the day or decorate their houses with willow branches–which are believed to ward off the wandering dead.